Once lined with a string of small fishing villages, the Costa del Sol is now dominated by purpose-built resorts and apartment buildings. The beaches are the coastline's greatest attraction, but there are plenty of other things to see and do, with any number of amusement parks and water parks, excellent golf courses, and a very active nightlife at many of the resorts. Although the historic towns and villages along the Costa del Sol have been somewhat diminished by tourism, it's still possible to get a glimpse of the old Spain. The old town centres in Malaga, Marbella and Mijas are well preserved, and are now home to art gallerys, boutiques and restaurants. 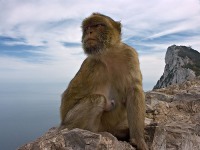 Those seeking a more authentic Spain will need to head to inland, where the small villages remain undeveloped and the spectacular natural parks offer dramatic walking and cycling trails. 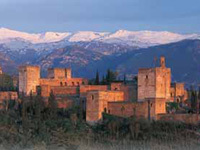 Ronda is a popular excursion, with its iconic bridge and famous bullring.